In a muslin cloth, pour the yogurt and tie it and refrigerate it for an hour. Press out the excess whey and store aside. 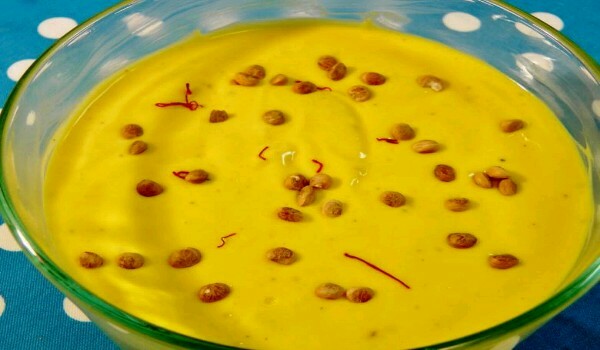 In a blender, take condensed milk, mango puree and mango essence and blend to make a smooth paste. Add sunflower seeds and refrigerate till almost frozen.